I’m turning the mic this week over to Grier Cooper, fellow author, dance blogger and former dancer. 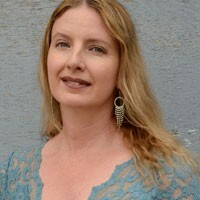 She’s the author of the Indigo Ballet Series, ballet novels for young adults, and today is pub day for Book 2, HOPE. Congratulations, Grier! It’s a wonderful book that I just tore through, and even though it’s categorized as young adult, it’s a compelling, engrossing reading for adult lovers of ballet fiction, as well. You can check it out on Amazon HERE. You can also read my blog about her and her Book 1, WISH, from 2014, HERE. But here I am, spending too much time at the mic. So, without further ado, here’s Grier. In the beginning, men in ballet held a supporting role, so to speak; lifting, catching, keeping a partner on center during multiple pirouettes…in essence doing whatever it took to make their female counterparts look good. Men mostly remained upstage in the shadows, their faces hidden under tutus as they carted their partners around on their shoulders, awaiting their solo, their moment in the spotlight. Women have historically occupied far more time center stage, serving as the focal point of the pas de deux and dancing their own solo. Plus, those pretty, sparkly costumes and crowns that twinkle in the light draw still more attention. In short, it was all about the women. There were occasional exceptions, freak virtuosos like Mikhail Baryshnikov or Fernando Bujones, men whose technique and good-looks were equally astounding, but men in ballet were typically not making newspaper headlines. Until 2011, when David Hallberg became the first American to become a principal dancer with the Bolshoi Ballet. Now that made headlines. One could argue that the critically-acclaimed film Billy Elliot (2000) paved the way toward building public awareness for male dancers everywhere (particularly after Adam Cooper, a real-life principal dancer with Royal Ballet, was cast as the adult Billy), and it has been steadily building ever since. The role of men in ballet is changing dramatically, and today’s male dancers are artists in their own right, enjoying equal footing and equal time center stage with their female counterparts. Male soloists such as David Hallberg, Carlos Acosta and Benjamin Millepied are now household names. Companies like Ballet Boyz, (an all-male company formed by former Royal Ballet lead dancers) and 10 Hairy Legs are shaping the re-branding of ballet from a male perspective. In both cases, there are no female dancers at all. Male ballet dancers are now so revered that droves of football players signing up for ballet classes. Headliner Steve McLendon of the Pittsburgh Steelers says, “ballet is harder than anything else I do”. 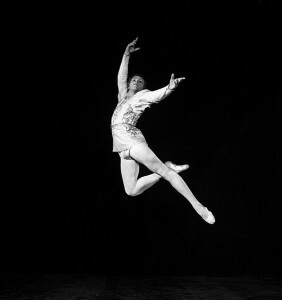 Football players aside, ballet men are some of the strongest, most athletic and graceful beings on the planet. Who doesn’t love watching those gravity-defying leaps and insanely difficult turns? This entry was posted in Ballet and tagged 10 Hairy Legs, Ballet Boyz, ballet novel HOPE, Benjamin Millepied, Billy Elliot ballet and Adam Cooper, Bolshoi Ballet, Carlos Acosta, David Hallberg, football players signing up for ballet, Grier Cooper, Indigo Ballet Series, Steve McLendon of Pittsburgh Steelers, young adult ballet novel on April 26, 2016 by admin. Breaking news on May 23, 2016: Promotions announced! See addendum (and my own personal promotion wish list) below! How quickly the time flies, over at the San Francisco Ballet, at least when you’re sitting in the audience, savoring the programs as they roll onto the War Memorial Opera House stage, entertain, enlighten, and roll right off, in anticipation of the next one. And now, the season is waning. This past weekend I had the luxury of taking in not just one program but two. In reverse order, which felt bewildering but fun, with a Saturday night performance of Program 7 and a Sunday matinee follow up of Program 6. It was a hell of a great weekend. Saturday night’s opener, Balanchine’s “Themes and Variations,” is pure delight. Set to the final movement of Tchaikovsky’s Suite No. 3 in G, it pays homage to Imperial Russian classicism. Twin chandeliers dangle before an elegant blue backdrop. 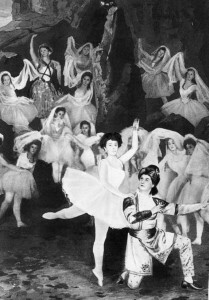 Women are clad in white tutus with blue satin bodices, the men in white tights and elegant, Imperial style teal jackets. When that stage fills with the ensemble–at one point there are twenty-four dancers moving about–it’s a glorious sight to behold. Balanchine is a genius at arranging dancers, moving them on and off fast, making the most of both ensemble and pas de deux parts. Demi-soloists Norika Matsuyama, Koto Ishihara, Lauren Strongin and Isabella DeVivo had a loveliness and precision that reminded me of music box ballerinas. Lead couple Maria Kochetkova and Gennadi Nedvigin excelled as well. She makes the simplest step, here an opening tendu, seem elaborate, and the most elaborate, taxing sequence seem effortless. Nedvigin, who will be leaving the company at the end of the season to head the Atlanta Ballet as its artistic director, gave us with high jumps and double tours, impressive beats, pirouettes and cat-like soft landings. Justin Peck is certainly Someone to Watch in the ballet world. At 28, a soloist with the New York City Ballet, he has already amassed 30 commissioned works, and in 2014, was named the company’s choreographer-in-residence. “In the Countenance of Kings” is propulsive, packed with high octane movement, sound, swirling, running, leaping, that left me exhausted by the end. Here’s a fun video-meets-short film that excerpts the ballet. If a picture is worth a thousand words, this will cover me way beyond that. Great dancing abounded. Joseph Walsh, in particularly, really produced the “wow!” factor for me that I’ve been waiting to see in him. As The Protagonist, he made great use of his solo time onstage. He tackles contemporary ballet with an appealing classicism that doesn’t restrain him from spells of exuberant abandon, flinging body, arms, head back in a way that’s clean, energetic and fun to watch. He shared the lead with Taras Domitro in Possokhov’s splendid “Swimmer” (my review HERE) last month, and now I can appreciate how up to the task he was. 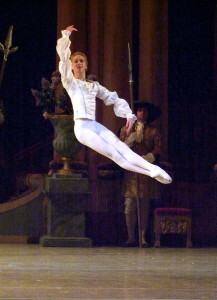 Dores André, too, shines in this ballet. It’s enjoyable to watch her assume a distinct identity in this, her first season as a principal. All the leads gave great performances. In the playbill, they are assigned names, which pose more questions than they answer (such as: am I supposed to glean a reference to something or someone? Quantus? Botanica? The Foil? Was there a story happening that I missed?) Regardless, Luke Ingham and Jennifer Stahl paired splendidly; Frances Chung was in her power-packed element, sharing a charming duet with André and another one with Nedvigin. Music came from indie artist/composer Sufjan Stevens’ “The BQE” (the Brooklyn Queens Expressway), orchestrated by classical horn player Michael P. Atkinson. The music is boisterous, fast moving and very Broadway in scope. Really, at times I felt like I was watching a Broadway show, particularly when stage lights, as part of the backdrop, flashed on, facing the audience. Coupled with a whole lot of horns, snares and drums, it felt like too much. I loved the energy of this ballet and the phenomenal dancing from the well-rehearsed ensemble cast. I’m just not sure I loved the whole, over-caffeinated shebang. I will get to find out next season, when the ballet returns (at which time I’ll be sure and skip my own post-dinner dose of caffeine just prior). Program 6 and Sunday’s matinee performance seemed to give me what Saturday’s seemed lacking. A bit of an irony since I’d thought it might prove a little underwhelming after Program 7. Nope, it was great. For a video clip (too small to embed here), check out THIS. Alexei Ratmansky’s “Seven Sonatas,” in its San Francisco Ballet premiere, was another satisfying ballet, set to the piano music of Domenico Scarlatti (performed by Mungunchimeg Buriad). I found its neoclassical elegance to be so appealing, with the dancing both controlled and joyous. Like the previous night’s “Continuum,” this ballet retains a small cast and delivers as much a dialogue between the six dancers, as it does a performance for the audience. It’s intimate, packed with fine, articulate dancing by Lorena Feijoo, Carlos Quenedit, Dores André, Vitor Luiz, Sofiane Sylve and Carlo di Lanno. I found “Rush©”, the weekend’s other Wheeldon piece, to be so much more enjoyable than the previous day’s. The choreography seemed more interesting to me, more varied, and the music, Bohuslav Martinů’s “Sinfonietta La Jolla for Chamber Orchestra and Piano,” was simply lovely, as were Jon Morrell’s costumes. Standouts included Sasha de Sola, partnered with great sensitivity by Luke Ingham, as well as Lauren Strongin with Francisco Mungamba, and Koto Ishihara with Wei Wang. All of “Rush” worked for me, from beginning to end. All of Program 6 did. Program 6 runs to April 16 and Program 7 runs to the 17th. In Program 8, John Cranko’s acclaimed Onegin will complete the company’s season. I’ll be reviewing the April 30th opening night performance for Bachtrack; come back here for the link after that time. (And on May 3rd, HERE IT IS). * One last aside. I’ve really been enjoying the way Tomasson’s using corps dancers in soloist and lead roles, and over this weekend alone, I thoroughly enjoyed a half dozen such performances. Francisco Mungamba, Wei Wang, Steven Morse – I’m hoping to see at least one of these guys get a promotion to soloist some time soon. On the females’ side, my promotion wish list would include Norika Matsuyama, Isabella DeVivo. WanTing Zhao. And, okay, Julia Rowe and Jahna Frantziskonis. And I’ve got my eye on Max Cauthorn. And okay, Henry Sidford. And Lonnie Weeks. And it goes without saying that soloist Carlo Di Lanno is ready for promotion to principal. And here’s wishing all the best to the company’s three retiring principal dancers: Joan Boada, Pascal Molat and Gennadi Nedvigin. Well done, gents. Your contributions have been enormous and unforgettable. Thank you. 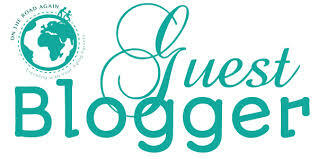 This entry was posted in Ballet and tagged Aaron Robison, Alexandre Cagnat, Alexei Ratmansky “Seven Sonatas", Angelo Greco, Atlanta Ballet, Balanchine's "Themes and Variations, ballet "In the Countenance of Kings, Beethoven's Piano Concerto no. 1 in C Major in dance, Blake Kessler, Bohuslav Martinů’s “Sinfonietta La Jolla for Chamber Orchestra and Piano, Carlo di Lanno, Carlos Quenedit, Christopher Wheeldon, Christopher Wheeldon "Rush", Continuum, Davide Occipiti, Dores Andre, Elizabeth Mateer, Frances Chung, Francisco Mungamba, Gennadi Nedvigin, György Ligeti, Helgi Tomasson’s “Prism, Henry Sidford, Isabella DeVivo, Isabella Walsh, Jahna Frantziskonis, Jennifer Stahl, Joan Boada, Joseph Walsh, Julia Rowe, Justin Peck "In the Countenance of Kings. ", Koto Ishihara, Lauren Strongin, Lonnie Weeks, Lorena Feijoo, Ludmila Bizalion, Luke Ingham, Maria Kochetkova, Mathilde Froustey, Michael P. Atkinson, Mungunchimeg Buriad, Music The Brooklyn Queens Expressway, Natal’ya Feygina, Natasha Sheehan, Nathaniel Remez, Norika Matsuyama, Pascal Molat, Program 6, Program 7, review of San Francisco Ballet, Roy Bogas, San Francisco Ballet, Sasha de Sola, Shené Lazarus, Sofiane Sylve, Steven Morse, Sufjan Stevens “The BQE”, Taras Domitro., Tiit Helimets, Vitor Luiz, WanTing Zhao, Wei Wang, Yuan Yuan Tan on April 13, 2016 by admin.